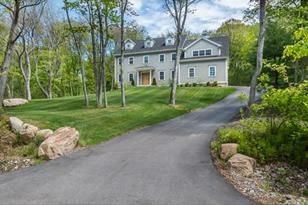 Beautiful custom colonial on 1.9 acres in desirable Hamilton. Newly constructed in 2013, this 4 bedroom 3.5 bath home offers exceptional construction, fine craftsmanship and beautiful finishes throughout 3 levels of living space. Dramatic 2-story entry with elegant formal living room/study and dining rooms adjoin open concept high-end kitchen and fireplaced family room. The master bedroom offers a large walk in closet and en-suite bath. 3 other generously sized bedrooms, 2 with custom en-suite baths. Spacious finished bonus room on the 3rd floor offers substantial extra space. Hardwood floors, custom moldings, central air, security, mahogany deck, fenced back yard and 2 car garage complete this lovely home. Adjacent to the ECTA trail system, this is a short drive to Cranes Beach, boating and many North Shore recreational, shopping and dining options. 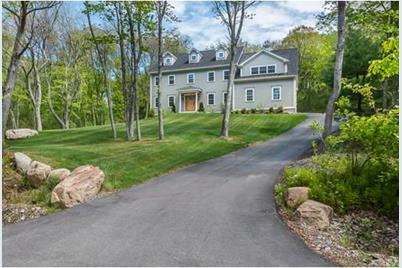 Easy access to highways and trains for commuters, and located in the highly rated Hamilton Wenham Regional School System. 311 Sagamore Street, Hamilton, MA 01982 (MLS# 71972792) is a Single Family property that was sold at $880,000 on August 08, 2016. Want to learn more about 311 Sagamore Street? Do you have questions about finding other Single Family real estate for sale in Hamilton? You can browse all Hamilton real estate or contact a Coldwell Banker agent to request more information.